CNN taunted Sen. Ted Cruz (R-TX) for refusing to do an interview–while hiding a 15-minute interview Cruz had already done with CNN. On Thursday afternoon, Sen. Ted Cruz (R-TX) spoke to the far-left CNN for 15 minutes about the Parkland school shooting massacre and his specific ideas about preventing future massacres. 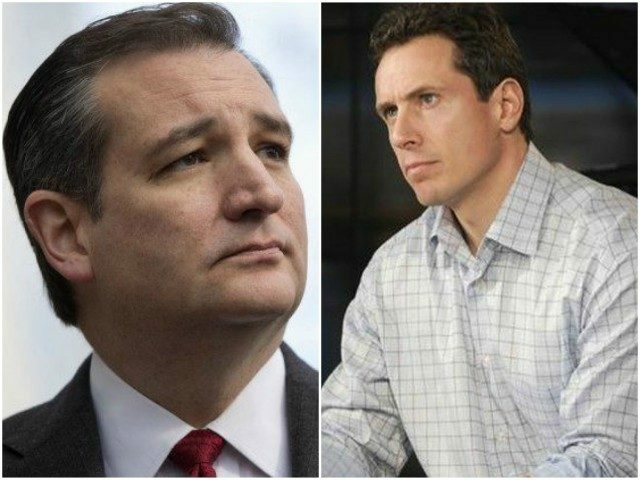 Nevertheless, hours after Cruz recorded that interview, CNN anti-Trump pundit Chris Cuomo publicly taunted Cruz as a coward for not talking to CNN. The manic Cuomo then attempted to move the goalposts. Cuomo’s neurotic response can only be interpreted as trashing his own network for not “testing” Cruz in the way Cuomo believes he personally would have “tested” Cruz. One wonders if Cuomo would have made that insulting insinuation if the CNN reporter interviewing Cruz was a man instead of a woman. By asking Cruz to come on at the last possible second, and when you consider CNN’s history of using proven lies and extremist rhetoric to gin up hate against Republicans, it is not unfair to wonder if CNN deliberately tried to set Cruz up to attack him with the fake news the he is a coward for not coming on. Why else would CNN hide the Cruz interview and allow these attacks to continue even after Cruz had already done the interview? CNN’s sitting on the Cruz interview while taunting Cruz for not doing an interview is nothing less than a partisan dirty trick. Cuomo even retweeted someone quoting him (Cuomo) as saying on-air, “What kind of prayer is one that promises to do nothing”? Cuomo identifies as a Catholic. How, then, he can see the act of praying as “doing nothing,” he has yet to explain. In all of cable on Tuesday, New Day‘s best showing was during its 9 a.m. ET hour. Nevertheless, only 669,000 people tuned in, and the hour ranked 95th. By comparison, on MSNBC, Morning Joe‘s earliest hour, 6 a.m. ET, snagged 1.095 million viewers and ranked 86th. Fox & Friends ranked 54th and attracted a whopping 1.826 million viewers at 9 a.m. — nearly tripling the faltering Cuomo. CNN itself is in major ratings trouble. The anti-Trump cable channel lost a whopping -30 percent of its primetime viewers and has fallen way behind MSNBC and Fox News. It would appear as though the only thing politicians need be “afraid of” when it comes to appearing on CNN is 1) not being seen at all and 2) being sandbagged by CNN’s abiding affection for spreading fake news.